Ready to be released to our review riders, the FenderBag is here. This is the official Kickstarter model. This model will also be reviewed by our review riders. Hear what our review riders are saying, and comment if you would like to. We look forward to your feedback and improving the FenderBag. Be one of the first to get a FenderBag, become a Kickstarter. These photos show a large model FenderBag. A large and small size will be available. The small size is designed to fit on small to medium sized mountain bike frames. The large is for the large frame size; however, you can put the small size on the large frame size. 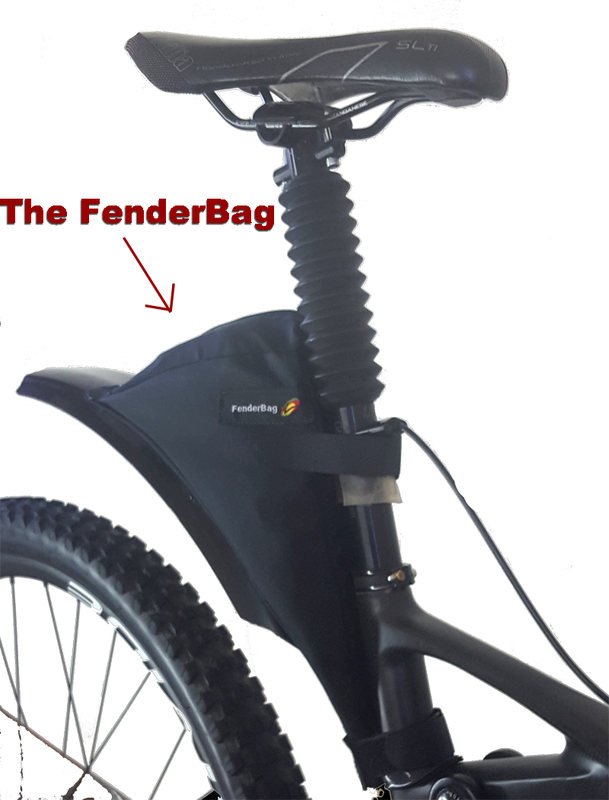 These FenderBags have been designed for the full suspension bike frame. They don't interfere with any working parts of the frame. That includes seat dropper posts. 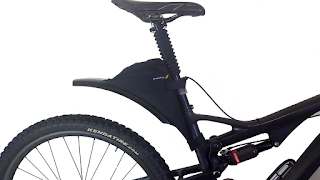 Yes, you can even have a seat dropper post and this cargo bag stays out of the way! Be one of the first to have one on your bike. Want one of these. I do. Sign up to stay informed about the launch of our Kickstarter campaign. Back our project and be one of the first!